Quick one, my how time flies when your hands are full. Nose: The bourbon is strong in this one, but not a sweet woody bourbon, instead it’s rather resinous, burning butterscotch, agricole, leaf sap. Undercurrent of fruit. Rather closed at 59.4%, adding water is a must. Water softens everything, adds boiled barley and an indistinct soft fruit. Palate: Powerful and syrupy, coconut, more resin, drying, smoking sugar. With water: Zestier, easier and livelier but rather bland but for the active bourbon wood. Might as well be grain whisky. Finish: Medium, spicy prickle, sweet plus a mild off note too. Ehm, 59.4% after 20 years, this was probably vodka filled at 69%. 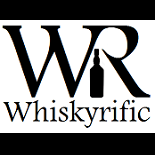 This entry was posted on October 5, 2015 by Whiskyrific in Tormore and tagged Tormore.